Preparing for your GCSEs and A Levels can be a daunting experience. Throughout the year, you will be constantly reminded that the exams are fast approaching despite being months away. Once Easter arrives, those exams are imminent. After months of intense GCSE work, it’s tempting to just switch off or postpone revision, especially as the Easter holidays are the first substantial break since Christmas. However, revising over Easter is vital ahead of the exam season. With at least two weeks to play with, many find it helpful to create a revision timetable to support their studies. Creating a revision timetable can make a huge difference to your results. It may not be a fun process for anyone to complete, but the benefits massively outweigh the negatives of creating it. Your life will feel a little less stressful as your revision becomes more manageable and effective. Once a timetable is in place, revision will be more focused and you will be well prepared for those daunting summer exams. Below are our tips for creating an effective Easter revision timetable. Planning your revision timetable on the first Monday of the Easter holiday wastes valuable revision time. So prepare your timetable before the first day of the break. When planning your revision time, you must ensure that you cover every topic for all of your subjects at least once. 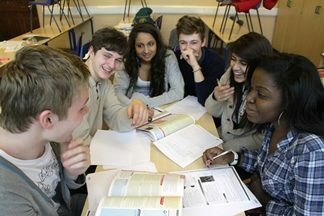 It may not be necessary to spend the same time on every subject, but missing out a topic could be damaging on exam day. A great memory aid for students is colour coding as the colours allow you to unify all elements of your revision. Whether it is coded per subject, module or topic, colour matching creates a subconscious link that could trigger your memory during the exam. This should be printed off or drawn out on A3 or A2 size paper. This will give you enough space on the page to make additional comments, for example, notes of topics you need to revisit. When drawing up your revision timetable, it can be difficult to know how much time to allocate to each subject. You will need to cover each subject at least once, however not every subject requires the same amount of time. Your teacher feedback may have highlighted your strengths and weaknesses, but there are other ways to self assess. Using the detailed examination specifications for each subject and a the simple red/amber/green method can highlight revision priorities or gaps more clearly. There is frequently one subject you feel more stressed about than others. To avoid such anxiety spilling over into your other revision, gain confidence by beginning your revision with the toughest subject. Focus initially on the trickiest topics and, if possible, approach your teacher before the Easter holiday for guidance or extra resources. Maybe you could get together with a friend and spend a study day together with the subject. The Easter break is when you should refine your exam technique. There are huge benefits to attempting a lot of past paper questions. Past examination questions are usually structured in a similar manner. By attempting various questions you become more adept with the style and how to approach the subject. A great way of testing yourself is by doing so at the end of each module. That keeps your mind ticking over and can be a good indicator of what you need to revisit before the end of Easter. 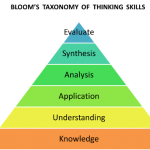 Checking your understanding is just as important as knowledge gathering at this stage. It is vital to have a comprehensive revision plan, however, it must also be a realistic schedule you can follow. You could allow some “blank” time in your timetable to cover a topic that requires more attention. Blank spaces can be used to make up time if you go over on another subject. It is the Easter holiday and you deserve a break. Between revision sessions, make time to relax, unwind and see friends. Some students can revise for 9 hours a day, but it doesn’t work for everyone. You must find a healthy balance for you as you don’t want to burn out closer to the exam period. It can be tricky to stick to your own revision timetable when at home, with lots of every day distractions affecting your concentration and focus. Going to small group revision sessions, which are tailored to your specific needs, can really enhance your study skills and boost motivation. 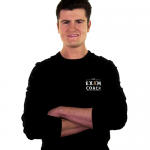 Revision courses help consolidate knowledge and improve your exam performance. They will also help build confidence and reduce stress. Justin Craig is running Easter revision courses in 2019 for students in Years 10-13. 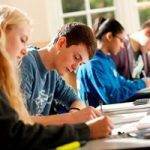 These courses cover GCSE and A Level subjects from a wide range of exam boards. 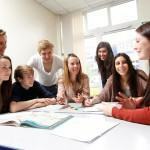 Our individually tailored courses take place at revision centres across the UK where specialist tutors will equip you with the skills you need to achieve your grades. Our tutors create a simulating and inclusive learning environment, which is proven to boost capabilities and ensure you are well prepared for the exam. Full board accommodation is available at selected centres. Our Easter courses are incredibly popular so please contact us today to find out more about our Easter Revision classes. For more helpful revision tips, visit our student resources page.